Updated:The ongoing Oracle-Google trial may have hit a snag on May 3, as the jury suggested that they could be unable to reach a consensus. However, during the late afternoon of May 4, the jury announced that they reached a unanimous decision on three of the four questions regarding the trial's copyright phase, but were at an "impasse" on one of them. After conferring with representatives from Google and Oracle, Judge William Alsup determined that the jury would continue to deliberate through the weekend and that the court would reconvene on a "fresh, bright Monday morning" to hear the jury's decision. Speculation points to the undecided question being whether Google's alleged infringement constitutes fair use, but that speculation will remain as such until the jury's full findings are released on Monday. Oracle brought the suit against Google in 2010 after acquiring Java creators Sun Microsystems, claiming that Google infringed on Oracle patents and copyrights by using Java APIs to create the popular Android mobile operating system. The jury has been locked in deliberations regarding the first phase of the case, which deals with the copyright portion of Oracle's allegations, since May 1. However, on May 3, a juror reportedly asked Alsup how the jury should proceed if they're unable to reach a unanimous decision, and if "people are not budging" on their stances. Alsup emphasized that the question so far is hypothetical, and should not be considered a formal statement that the jury is deadlocked. Oracle accused Google of building Android on stolen Java APIs, while Google maintains that the parts of Java that were used are freely available and are protected by fair use laws. 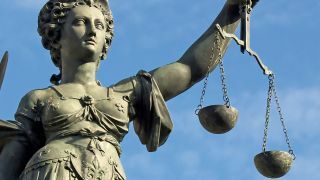 Jack Lerner, a USC Law School professor specializing in intellectual property law, told TechRadar that jury deadlock is more common when the case is novel or complex. "Here we have both," he said. "Oracle has taken the novel and controversial position that its programming language is copyrightable, and high technology cases such as this are always very complex." But the copyright portion of the trial is only the first part. The next portion will concern the patents Oracle claims Google infringed on by using Java to create Android. Alsup said that if a decision can't be reached, the court would move on to the patent phase of the trial and would consider retrying the copyright portion at a later date. Google's counsel said that further segmenting of the case would be a detriment to the proceedings, and Oracle hesitated to make a comment. As of May 4 the jury had been in deliberations for more than 30 hours. The way their questions jumped from subject to subject - from fair use to de minimis copying (copying something so small as to be inconsequential) and back to fair use - suggested that they're not close to reaching a decision. But the jury's verdict forms contain four questions in this phase of the trial, so it's possible they could reach a decision on at least some of the issues at hand. Lerner said a deadlocked jury is likely to end in a mistrial, and that the case will have to be heard again in front of a new jury. "You would be surprised at how often that does happen," he said. And if Alsop issues a "hammer instruction" pressuring the jury to reach a decision, Lerner said, the verdict will be all the more likely to be overturned on appeal.